Historian Johan Huizinga once described game playing as the motor of humanity's cultural development, predating art and literature. Since the late 20th century, Western society has undergone a "ludification," as the influence of game-playing has grown ever more prevalent. At the same time, new theories of postmodernism have emphasized the importance of interactive, playful behavior. Core concepts of postmodernism are evident in pen-and-paper role-playing, such as Dungeons and Dragons. 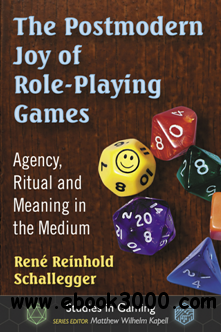 Exploring the interrelationships among narrative, gameplay, players and society, the author raises questions regarding authority, agency and responsibility, and discusses the social potential of RPGs in the 21st century.